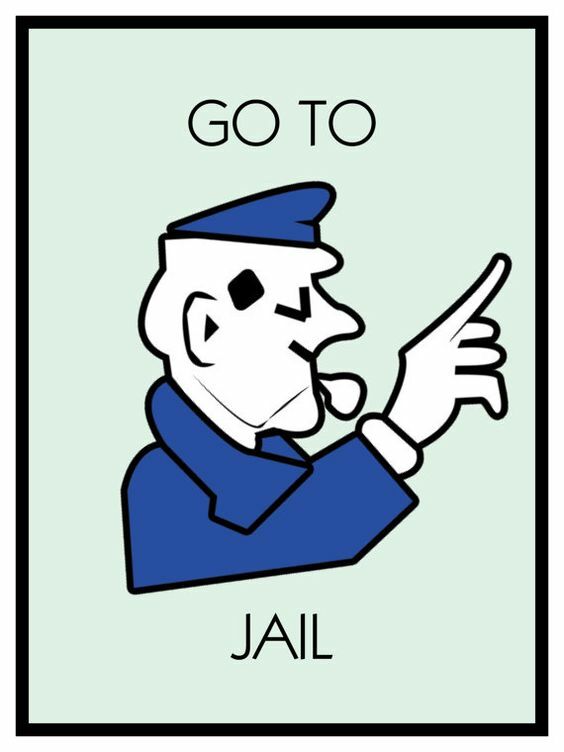 If you don't know why you're here, then "Go directly to jail; do not pass go, do not collect $200." The Honest Ballots Team of lawyers and helpers are preparing suits to vindicate your civil rights. The government and private actors are all individually liable. You see they have actually committed acts that the legislature has proscribed and specified punishment. There's no such thing as a free lunch. The Honest Ballots Team needs you in one or more of five capacities. Every lawsuit needs an injured party, someone with standing to sue. The Honest Ballots Team needs plaintiffs in every county in the state. It takes money to cover the costs of any lawsuit -- filing fees, printing paperwork, service of process, and mailing, to name a few. You, your family, and just about everyone who is a tax payer (as opposed to a tax taker) will benefit from the suit. Some say that more than 50% of your earnings go to an infinite variety of taxes. Even if you don't have a school bond or other local tax measure on your ballot for this election, you will -- you can take that to the bank. Lawyers are on the Honest Ballots Team to strategize and make sure everything is up to snuff. Just like you, they're not being paid by your taxes -- they produce something for a living. Besides preparing the actual pleadings, there is also legal research and writing briefs, memoranda, and motions. Let's talk if you think you can lend a hand. Every lawsuit requires facts. These are the details that provide evidence of who is doing what and how it's being done. The general pattern of facts is the same for every local tax measure. The details and the specific parties are almost invariably in public records, just waiting to be identified. The Honest Ballots Team needs people to reach out to those who have the power to inform people -- persons of influence, investigative journalists, opinion leaders, even entertainers. Electoral cognitive dissonance among the population means that most voters have a vested interest in believing that elections are fair and that government is "always right, and never wrong." Impartial investigative journalists disabuse of them of that. The game is voter-approved local taxes. The taxes could be taxes on property like bonds or parcel taxes or taxes on privilege like sales and use taxes. The object of the game is for the sponsor government to trick voters into approving the local tax measure. The people who benefit from the taxes are the same people who run the elections to trick voters to approve them. It's a good-old-boys club -- the Second Estate -- government employees and the private hangers-on that benefit from the taxes and that grease the machinery of power. Sponsors spend thousands, sometimes millions, of your taxes to get the local tax measure passed. The government oversight agencies slow walk and dismiss every complaint. Sponsors know that they will never to held to account. Rigging a game is illegal, isn't it? You report it to the authorities, the government, and they stop it, right? What if it's the authorities that are rigging the game? Who do you go to then? A higher authority? (still rigged). Aren't you the highest authority (next to the Creator)? No authority -- executive, legislative, or judicial -- in California is going to fix it. In fact, there is no authority in the country will fix it. It's up to you. Due process is the law of the land. It's one of your rights, supposedly protected by the constitutions and the laws. Rights don't enforce themselves, thus the old maxim, "the laws come to the aid of those who are vigilant, not those who sleep on their rights." California Constitution, Article II. Section 4. The laws exist. The officials ignore them. There are feasible remedies. Since the beginning of 2018, a new set of due process rules (AB-195) have been in place that purport to guarantee fair and impartial elections for voter-approved tax measures. Those rules, along with all the other ones that already existed, are being ignored by the people charged to implement them. In the case of tax measure elections, the denial of your right to fair and impartial elections deprives you of property, the fruits of your labor. The Honest Ballots Team believes there are plenty of grounds to set these elections aside. That's highly unlikely, unless their donors and supporters demand it. Every organization has a primary mission -- survival. Resources may go to sexier problems or bandwagon issues. Organization boards exist to please donors. Who are the donors? That's a secret.